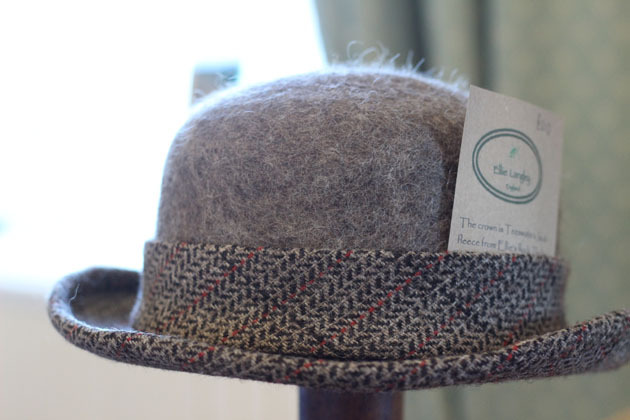 An appreciative flow of visitors bought, talked and admired the work on display at Masham Town Hall for the Crafted by Hand exhibition last weekend. 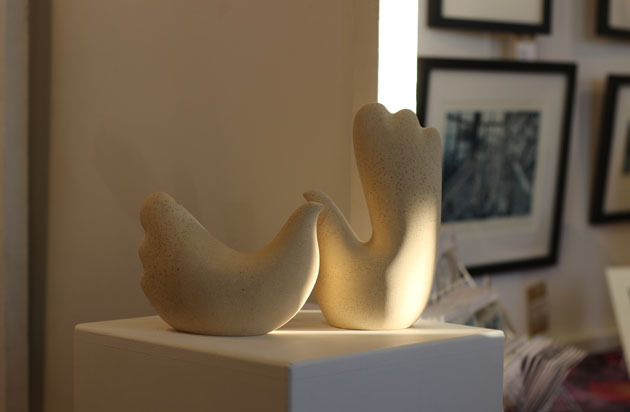 Towards the end of each day the sun, low in the sky, illuminated my stand through the upstairs Masham Town Hall windows and gave a golden glow to my bird sculpture. It was a feast of beautiful art and craft. 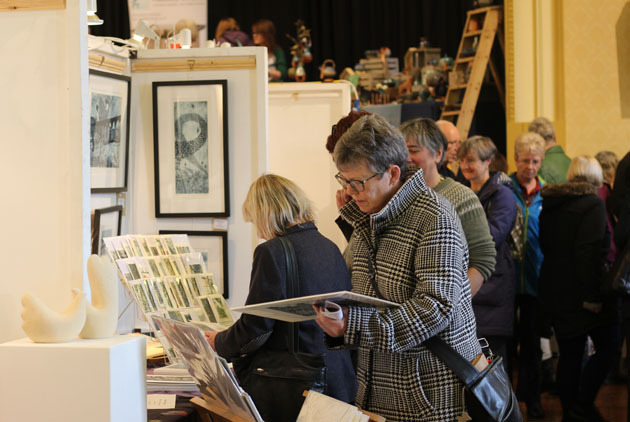 I had such lovely neighbours right and left of my stand – and over the two days had the opportunity to learn much more about how they work, the background to pieces and hear inspiring stories. 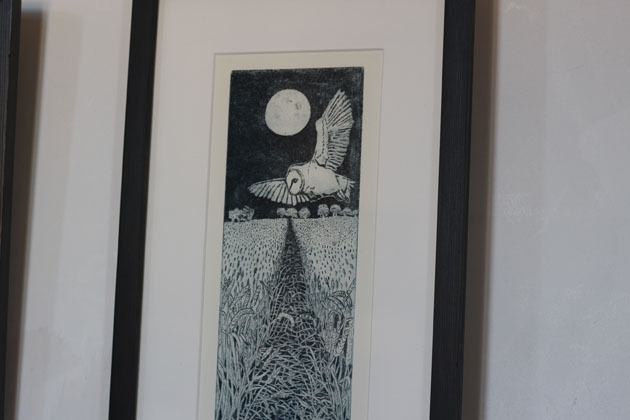 Janis Goodman printmaker had an ever-so tempting print of a Barn Owl and her murmuration etchings are extraordinary. 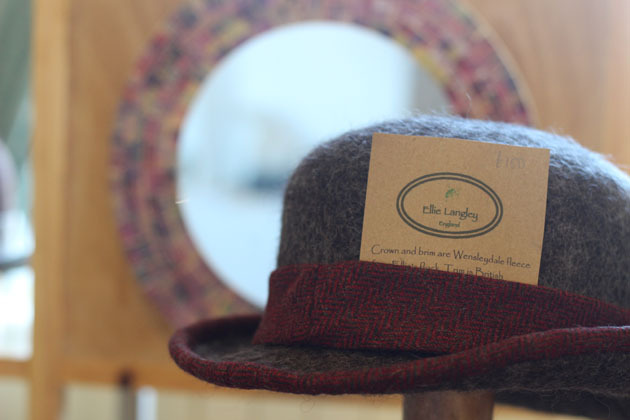 Ellie Langley is a felt-maker, hatter and smallholder and a specialist in British wools, making unique items in wool from her own flock of sheep. 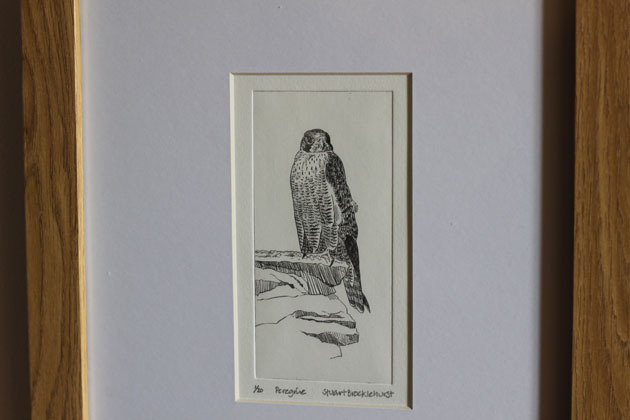 Stuart Brocklehurst printmaker exhibited a dry-point print of a Peregrine which I thought very fine. 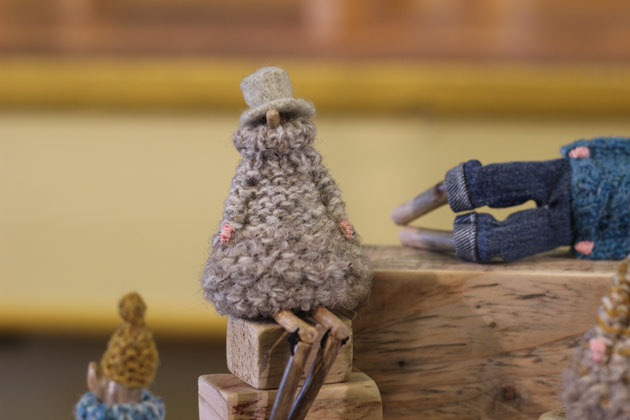 Liz Reed collects driftwood along the North East Coast and crafts quirky and engaging driftwood folk – all just brimming with personality. I loved this one. 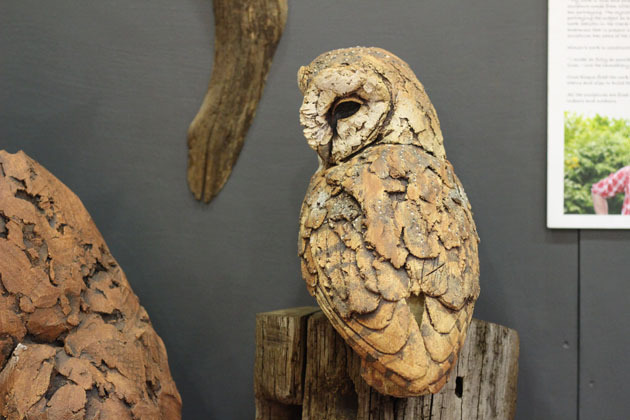 Simon Griffiths sculpture of wildlife – this beautiful Tawny Owl, one of many heavenly pieces. 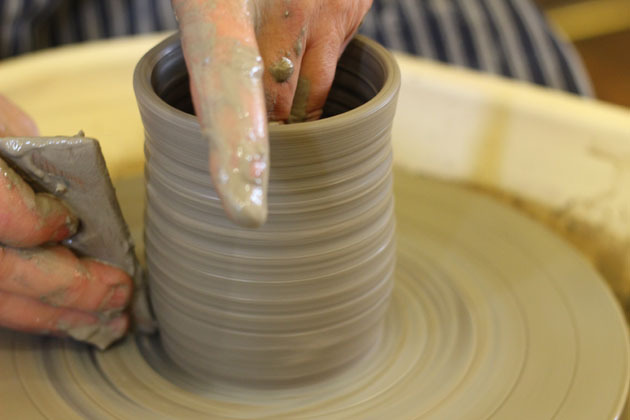 Sarah Robley studied History of Art in Cambridge followed by an MA in Medieval Studies at York University. 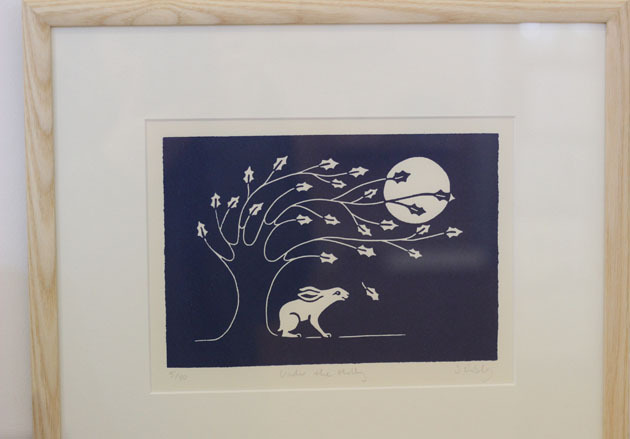 She is inspired by the individuality given by Medieval artists to their depictions of animals, and creates lino prints with bold simplicity. 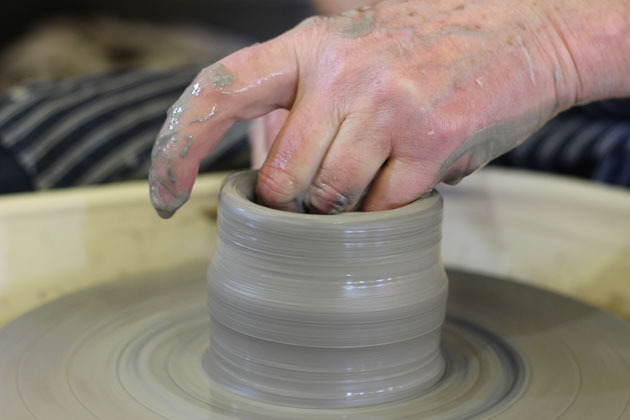 There were also demonstrations during the show, of printmaking, and claywork – I was mesmerised by Claude Frere-Smith showing how to throw pots on a wheel – I really wanted to have a go! 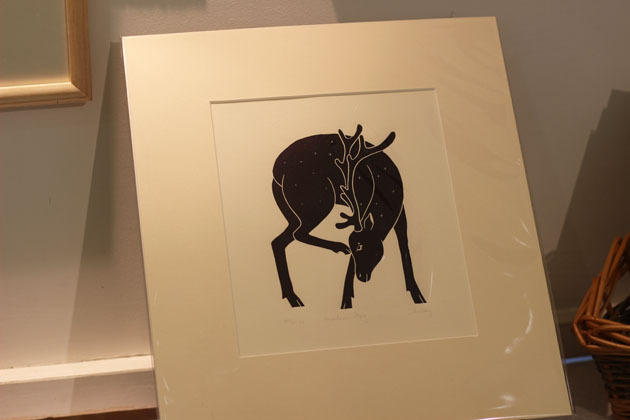 It is an exhibition with a lovely atmosphere and beautifully brought together and organised by artists Jozie Beszant and Charlotte Morrison and the event sponsored by Masham Gallery. Thankyou all for a lovely weekend.